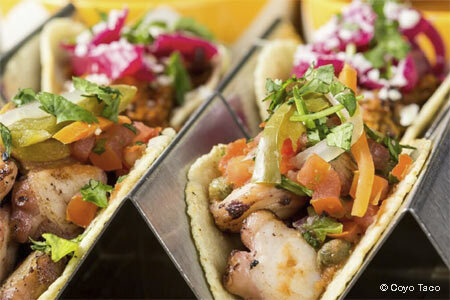 Expect a range of tacos, in varieties from duck confit to octopus, at this Brickell spot. : At this Brickell taqueria, chef-partner Scott Linquist's menu includes elote, exotic tacos (Michoacán-style duck confit, octopus or quinoa and queso "falafel") on hand-pressed tortillas, burrito bowls and tortas. Satisfy your sweet tooth with churros with cajeta. Also located in Wynwood at 2300 NW 2nd Ave., Ste. 3, Miami, 305-573-8228; 340 Royal Ponciana Wy., #M335, Palm Beach, 561-318-8616.